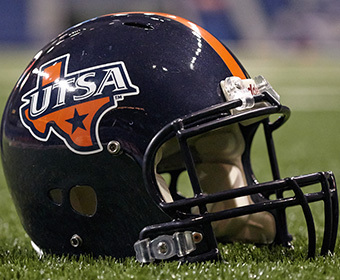 (Dec. 19, 2018) -- UTSA head football coach Frank Wilson announced today that 12 highly decorated student-athletes have signed National Letters of Intent to join the Roadrunners beginning with the 2019 season. >> Get to know UTSA's early signing class. UTSA’s group of 12 early signees includes eight offensive players, three who play defense and one specialist. Of the eight on offense, the Roadrunners will welcome two each of running backs, tight ends, offensive linemen and quarterbacks. The trio of defenders all will line up in the secondary. Nine of the dozen signees come from the high school ranks, while three are joining the Roadrunners from junior colleges. The class includes seven players from Texas, two from Louisiana, one each from Georgia and Mississippi, and UTSA’s first-ever player from Australia. Among the players from the Lone Star State, three are from Greater San Antonio, three hail from the Dallas-Fort Worth Metroplex and one is from West Texas. Today marked the first day of the early signing period, which will end on Friday, Dec. 21. UTSA will announce its complete 2019 signing class on Wednesday, Feb. 6. “As a staff, we were up early this morning making calls to each one of these young men’s families and coaches to thank them for their diligence and for allowing us into their homes and schools,” Wilson said. “This is also an opportunity to recognize the families of our coaching staff who have sacrificed so much while our coaches have been on the road recruiting. Get to know UTSA's early signing class.